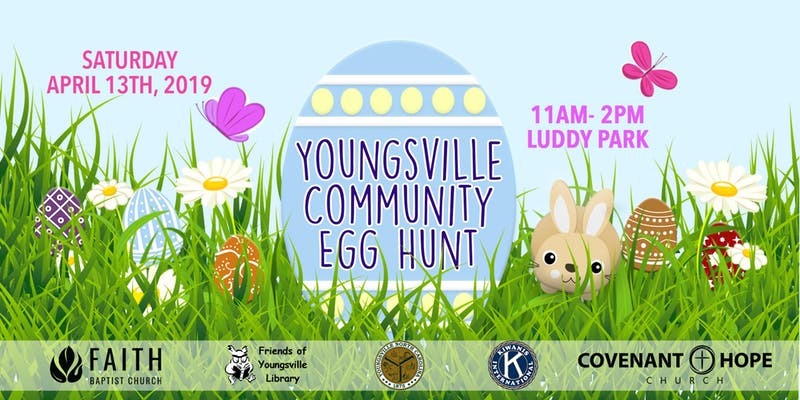 Come out for the Youngsville Community Egg Hunt at Luddy Park, this Saturday, April 13, 11:00 AM - 2:00 PM! There will be egg hunts, bounce houses, chalk zones, giveaways, and more! All are welcome to attend this free event. Click here for details.